The fourth-generation Pathfinder was completely redesigned. 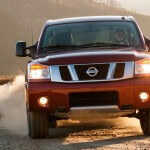 The all-new 2013 Nissan Pathfinder adopts a unibody platform in order to get driving refinement and better gas mileage. 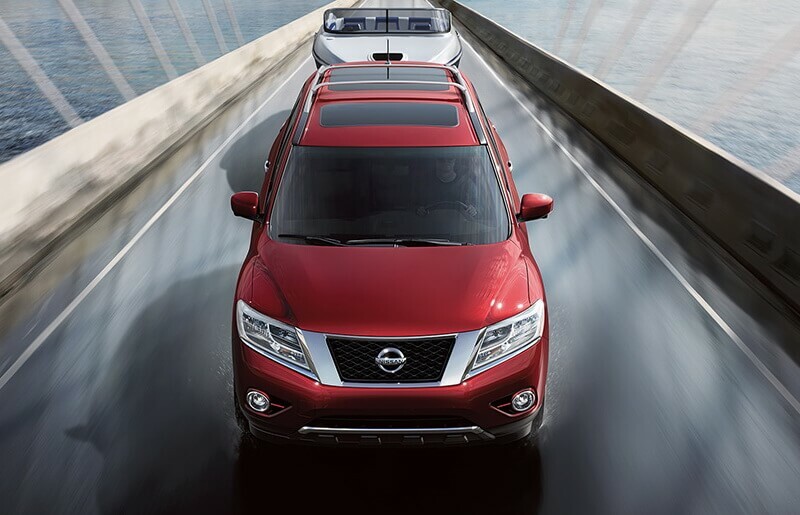 The 2013 Nissan Pathfinder is a midsize seven-passenger SUV designed for interior flexibility, interior space and passenger comfort. 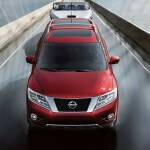 The 2013 Nissan Pathfinder is offered in four trim levels: S, SV, SL and Platinum. The 2013 Pathfinder S comes standard with 18-inch alloy wheels, keyless entry, rear privacy glass, cruise control, tri-zone automatic climate control, a height-adjustable driver seat, a 60/40-split second-row seat, a tilt-and-telescoping steering wheel and a six-speaker sound system with a six-CD changer. The 2013 Pathfinder SV adds keyless ignition, keyless entry, automatic headlights, a leather-wrapped steering wheel, a color multi-information display, Bluetooth connectivity, a rearview camera and an upgraded audio system. The SL trim level adds foglights, a power liftgate, roof rack rails, rear parking sensors, heated mirrors, leather upholstery, driver memory functions, an auto-dimming rearview camera and a compass. Nissan recently unveiled the new 2013 Nissan Sentra, which received a new engine, a complete exterior overhaud and new interior design. Compared with the previous generation, the new 2013 Nissan Sentra offers a 0.6-inch longer wheelbase (106.3 inches) and a 2.3-inch longer overall length (182.1 inches). The front overhang is shorter and the rear overhang extended. It is slightly lower in height (-0.6 inches ) and narrower in width ( -1.2 inches) and the coefficient of drag has been significantly reduced to 0.29 from the previous 0.34. The 2013 Nissan Sentra adopts Nissan’s new front grille with a chrome surround and horizontal bars ( already known from the new Altima models). 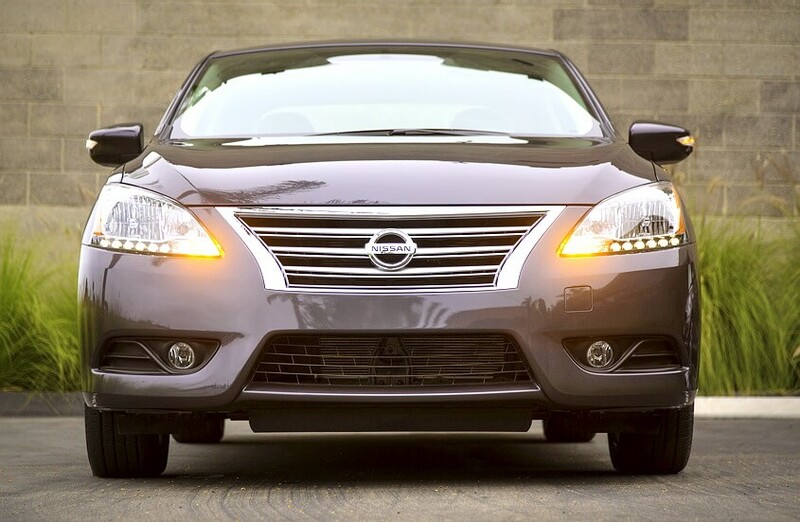 The new 2013 Sentra has received a more refined, modern and elegant exterior look. The new Sentra comes with standard LED headlights and taillights. It is the only sedan in the compact segment to offer them as standard equipment. The 2013 Nissan Sentra comes with a high-quality interior design, with materials not usually found in compact vehicles, including driver’s door, armrest, soft-touch instrument panel and available Maple wood-tone trim. Rear seat legroom of 37.4 inches is among the largest in class. The rear seat is a standard 60/40 split folding design, offering acces to the 15.1 cubic feet of trunk space (2.0 cubic feet larger than he 2012 Sentra trunk). 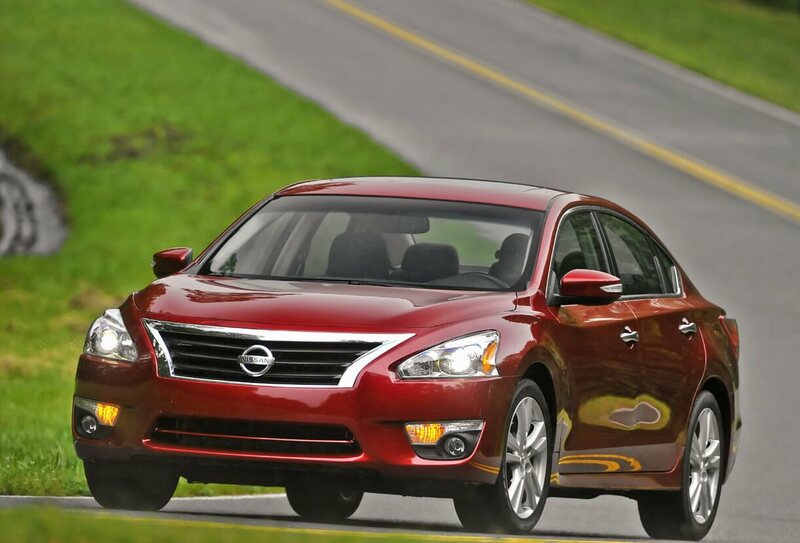 The all-new 2013 Nissan Altima is a competitive midsize sedan which displays a premium look. 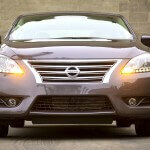 This fifth generation Nissan Altima has been completely redesigned for 2013. A stylish look, a quieter interior and new high-tech features were added on this new model. 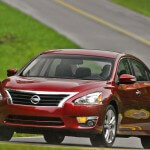 The 2013 Nissan Altima competes with Chevy Malibu, Ford Fusion, Toyota Camry and Subaru Legacy. Nissan Altima is the second best-selling car in the United States in 2011 and the new 2013 Altima is one of five all-new Nissan model set for introduction in the next months. The new 2013 Nissan Altima comes only in a four-door sedan body style and has seven trim levels: four trims for Altima with 2.5-liter engine and three trim levels for Altima with 3.5-liter V6 engine. The trim levels are: base 2.5 (MSRP from $21,150), 2.5S ($22,500), 2.5 SV (at $24,100), 2.5 SL (from $ 28,050), 3.5 S (from $ 25,360), 3.5 SV (at $27,780) and 3.5 SL (starting at $30,080 MSRP). The 2013 Nissan Altima base 2.5 comes with 16-inch steel wheels, keyless entry, keyless ignition, full power accesories, a 4-inch display screen, height-adjustable driver seat, four-speaker sound system with CD player and Bluetooth phone and audio connectivity.